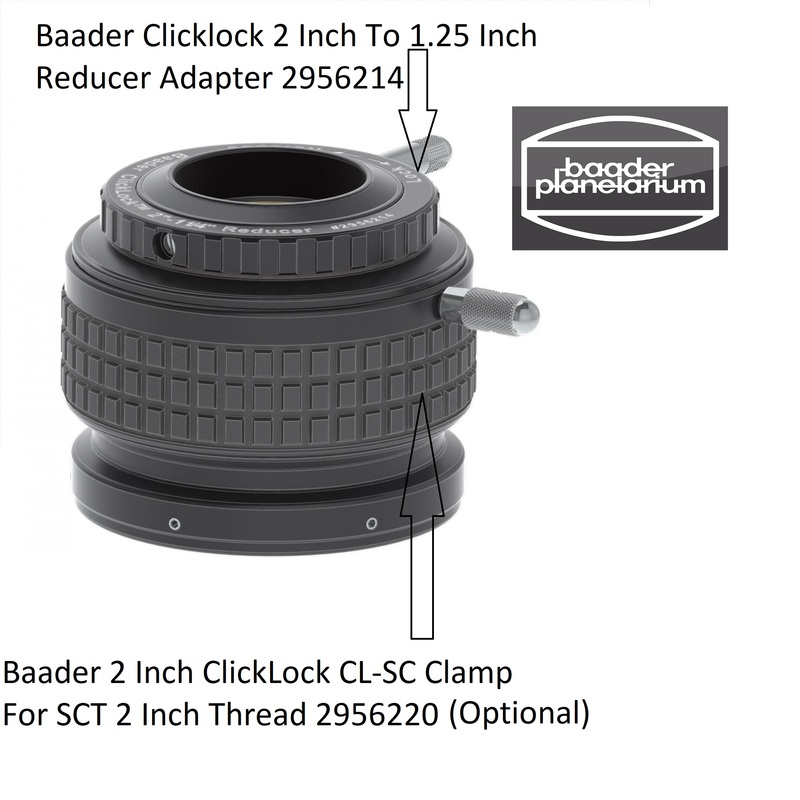 Here is now the latest version of the famous ClickLock family of adapters. 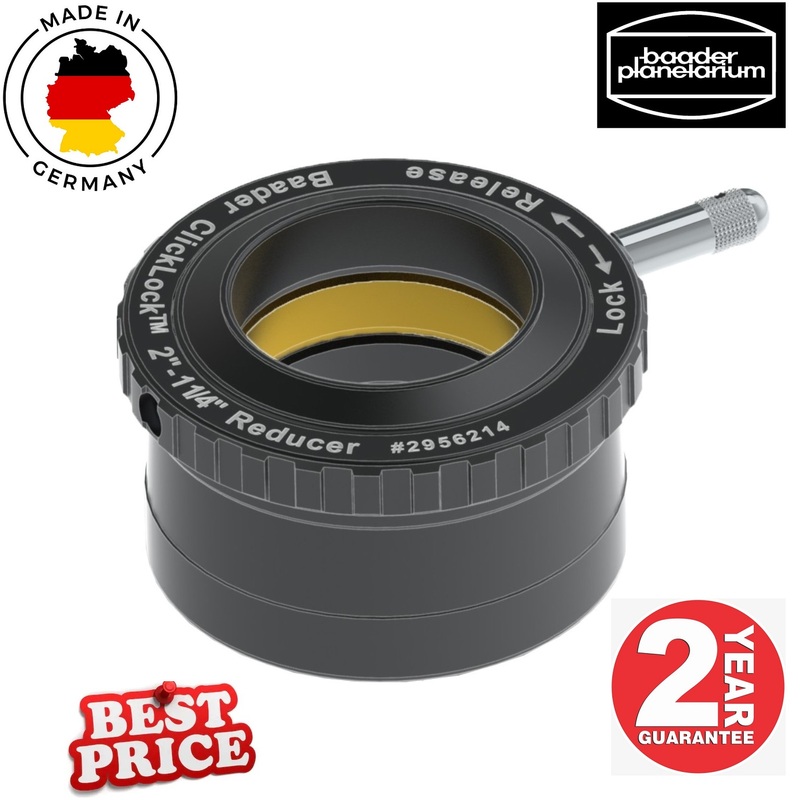 With the help of this reducer you'll be able to comfortably and fastly use 1.25" eyepieces in 2" focusers or other accessories designed for 2" eyepieces. 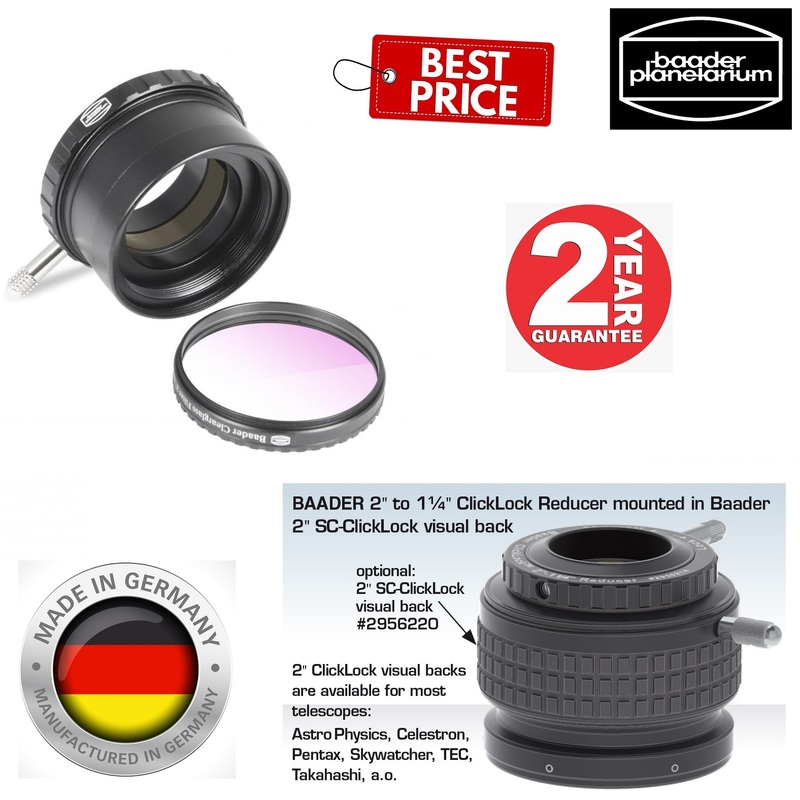 The 1.25" eyepieces and accessories are quickly locked by simply twisting it. 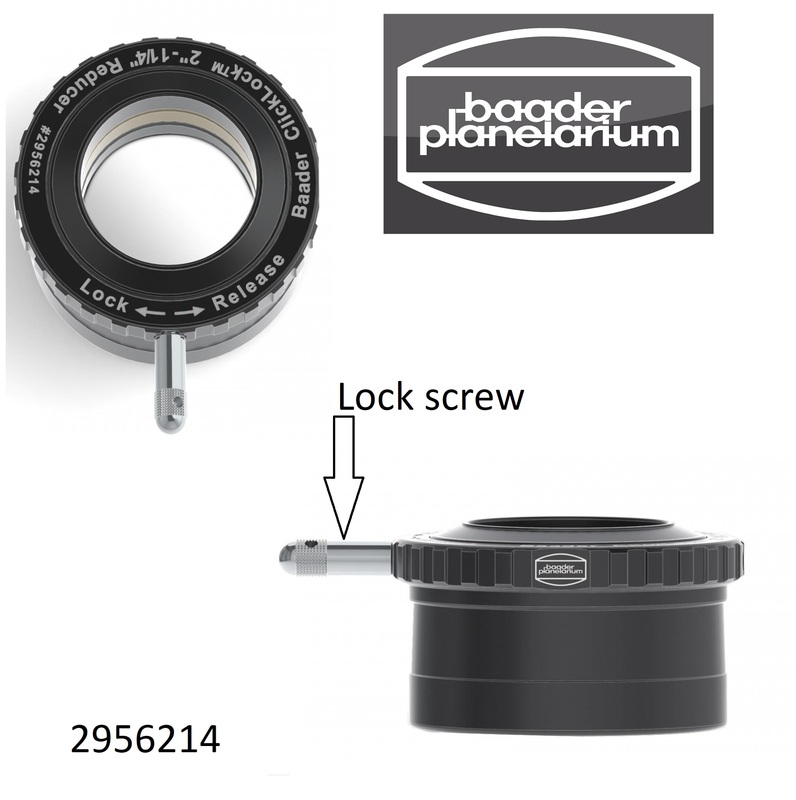 Due to the 3-point clamping, it guarantees consistent centering and absence of wobble. It can easily rotate up to 20 degrees without applying any high force. Its knurled clamp lever is provided for the convenience and to give a quick visual indication of clamp position. 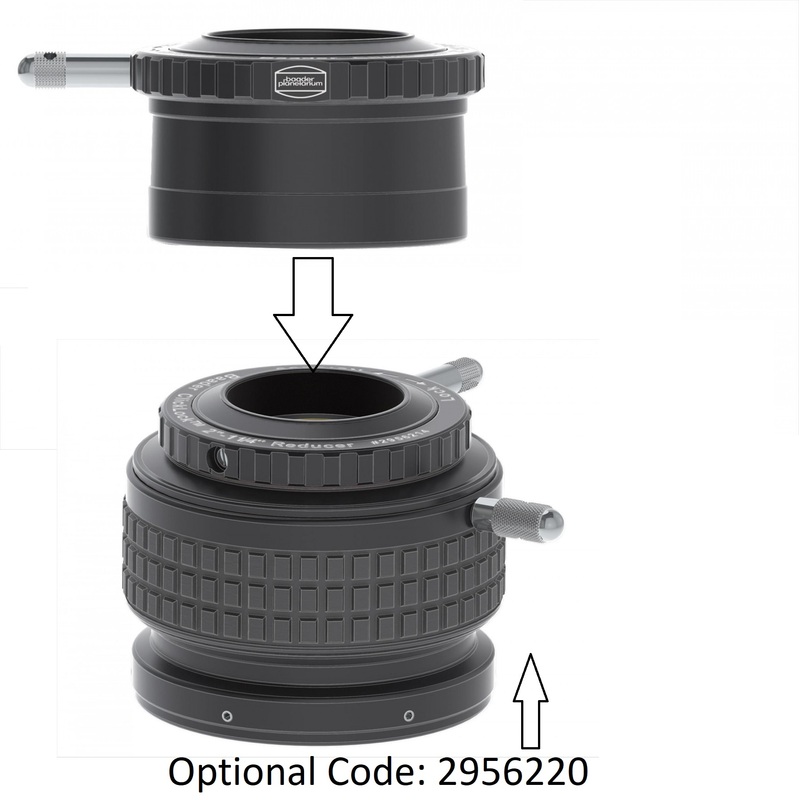 With 48mm filter threads which is provided on input side, you can attach standard 2" filters and also included with internal T-2 thread which enables you to use the reducer along with the other T-2 system components. 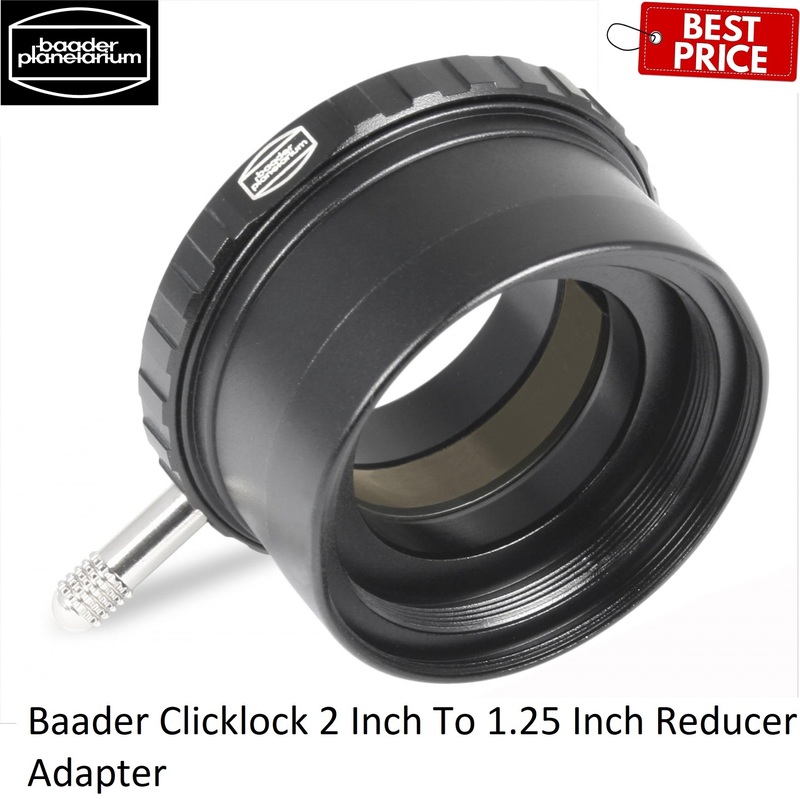 For more information about, Baader Clicklock 2 Inch To 1.25 Inch Reducer Adapter website.